Equally impressive for the holidays or for accenting spring décor, this beautiful quilt uses only one block pattern showcased in three poignant fabric combinations. Turn and twist to create this impressive wreath design. 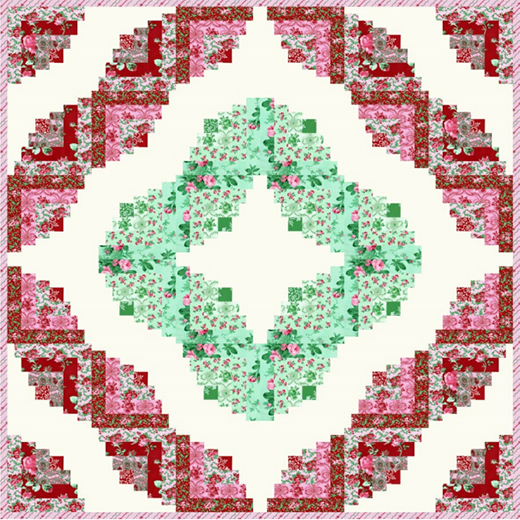 This Curvy Barn Raising Log Cabin Quilt Featuring Peppermint Rose Collection, The Quilt Designed by Verna Mosquera for FreeSpirit, The pattern is available for Free.